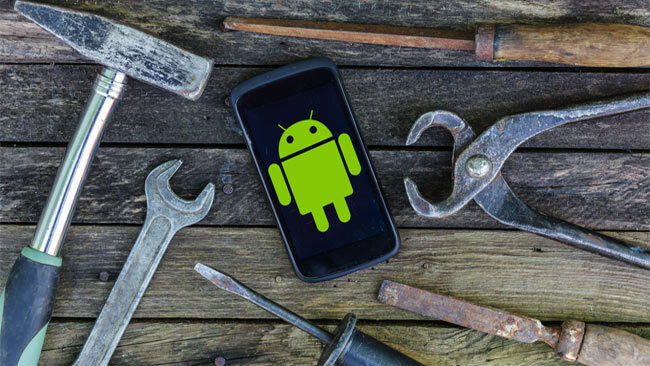 A multitude of Android apps are available for productivity and utilities to help the professionals of the construction industry streamline their work and complete it with no major hiccups. Most of the construction project management apps can be used efficiently, work systematically and monitor either with a live internet connection or without it across different capacities. 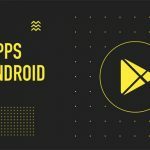 Read on to know about the best construction apps for the Android platform. Construction professionals can work as a team with construction project management software developed by Procore Technologies Inc. Additionally, the users can share and watch the documents, RFIs, drawings, schedules and much more to save time on the field with the software for construction company. The incredible features of Procore can help you manage a plethora of projects and maintain the status of the construction project. Also offered are modules such as ‘construction financials’ and ‘quality and safety’ to assist aptly in the construction industry. PlanRadar is a defect and document management solution for the construction industry. The easy-to-use application assists in creating a punch list, documenting defects on a tablet or smartphone, and delegate work to the apt subcontractor on the construction site. Construction professionals can work together on several projects from any mobile-connected device having the required permission to overlook the project, related data (memos, photos, digital blueprints on location and so much more), documentation, drawings. It can save up to 7 hours of working hours every week on every project. Look for the tasks, deadline, subcontractors and more with the help of the filter feature. Above all, it’s a great app to boost efficiency. Fall Safety Pro is undoubtedly a mobile lifesaver and offers amazing solutions while on the construction projects. It is but evident that when you work on a construction site, falls are but inevitable. However, if you have the Fall Safety app, you can learn of the falls immediately and summon alerts automatically to the emergency contacts programmed in the smartphone. Fall Safety is an app that offers location data with the help of GPS to ensure that the emergency contacts can locate you. Fortunately, it is now available on Google Play; the earlier only iOS app was available. PlanGrid is by far a must-have for the construction professionals. The construction professionals can utilize the solution to mark up the blueprints with the standard industry shapes (arrows, clouds, etc.). These can then be pushed immediately to the other participants on the project. Monitor the latest versions of open issues, blueprints and enable all to work from the same set. It facilitates clicking pictures from the gallery or the camera of the device in-use. These can then be stationed on the blueprints. It saves you the time spent otherwise fiddling with hundreds of pictures on the SD card, and then decide which one belongs to which room. PlanGrid is designed for the project plans, sheets and documents with the help of automated Special OCR that can look and place callouts linking two sheets and not only the text referred or sheet names. SmartBidNet is a solution for the subcontractor and prequalification. The user can organize the bid projects by inviting the budding subcontractors and get the desired bids. Additionally, the user can share a customized form builder for an in-depth questionnaire to locate the right subcontractors for a particular construction project. An overview of the recorded bids assists in selecting and drawing a conclusion between the subcontractors and the management to be effort-free. The online solution provides extra time spent on hunting for apt subcontractors. Autodesk BIM 360 is an intuitive project management platform developed for the construction industry. The software assists the field, BIM, and project managers to fasten the delivery of the projects while working on the project budget and follow the industry standards, project specifications, and safety rules. The teams are facilitated with appropriate features and tools with BIM 360, and these are required to take decisions in the lifecycle of a construction project while staying on top and monitor all the tasks with precision. Managers get full control over the projects as it provides faster delivery of the projects and this helps to fix the issues. DroneDeploy assists in surveying the site with 3D models. The online solution can be used for measuring area, distance and volume. The quicker you can complete the jobs, the faster they get paid. Henceforth, more jobs can be taken over. Mapping and surveying of the job site cannot be avoided and are time-consuming tasks. The application assists in surveying the site with 3D models and drone maps in no time. The aerial data is facilitated to organize site planning to make it look better. One can receive faster measurements for the area, volume and distance. The progress can be shared with the team members to maintain the various tasks. DEWALT Mobile Pro is a complete construction tool for reference and calculation. DEWALT has various add-on calculations; hence whatever you require is not far away. Mathematics plays a vital role in the construction industry. Irrespective of the job, measurements should be correct. Simple calculator isn’t useful. DEWALT Mobile Pro is an ideal reference for the construction industry. The mobile application is backed up with reference materials and construction calculators to enable all the tasks to finish on time, with ease and efficiency all the time. The article aims at assisting you in getting the right application for your needs. Hope your hunt ends with these! Now, go on to Google Play and download the aforementioned Android Apps!